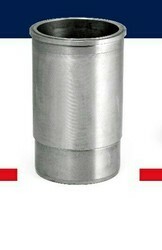 Our range of products include john deer engine piston kit, diesel engine parts and tractor spare parts. 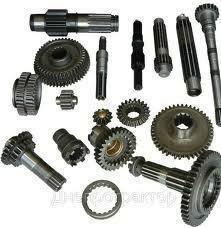 We are a notable company engaged in trading a supreme quality range of Tractor Replacement Parts. Theseproducts are designed using quality assured raw material and contemporary technologies in line with set industry guidelines. To maintain the quality, our vendors source the raw material from industry approved vendors who have immense proficiency in this domain. Additionally, our offered product exists in different specifications and at industry leading prices. Backed by the team of diligent professionals, we are highly involved in offering a wide range of Diesel Engine Part to our customers. Our products are manufactured at our vendor’s premises using top notch quality raw material and sophisticated technology in adherence with international quality standards. Highly used in various automotive industries, these are available at affordable prices. Backed by the team of diligent professionals, we are highly involved in offering a wide range of Tractor Spare Part to our customers. Our products are manufactured at our vendor’s premises using top notch quality raw material and sophisticated technology in adherence with international quality standards. Highly used in various automotive industries, these are available at affordable prices. Looking for Engine Spare Parts ?